What do bear costumes, “artisanal” moustache wax and protecting the grandmas of the world from shady marketing tactics have in common? 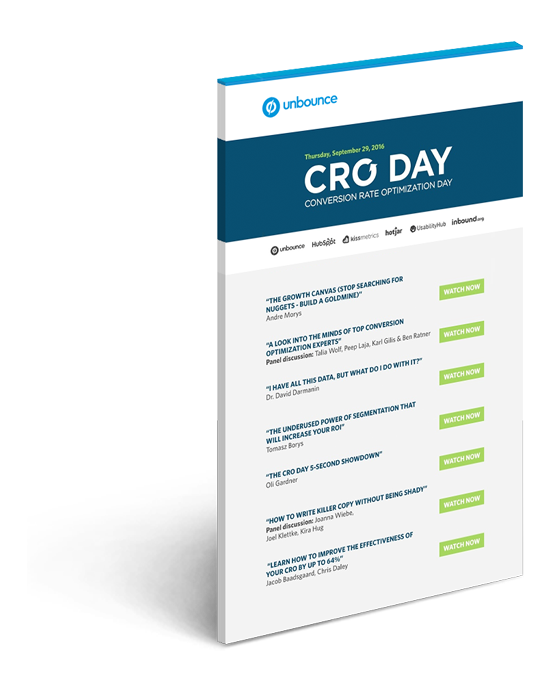 On Thursday, September 29, 2016, Unbounce hosted its second annual CRO Day — a full day of online events for conversion-driven digital marketers. 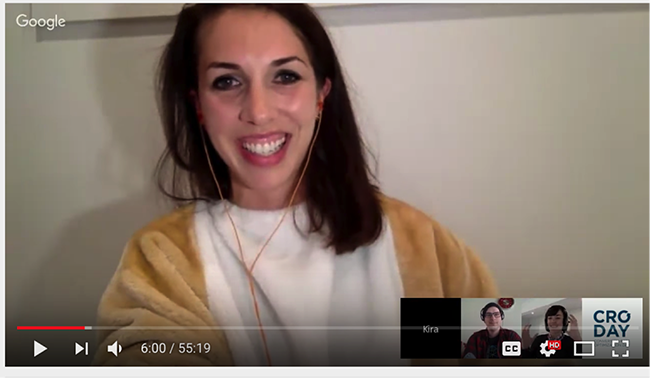 The day consisted of five webinars, two panels, one Slack workshop, one AMA… and a five-second landing page Showdown. And we got some of the world’s top CROs to participate, including Andre Morys, Tomasz Borys, David Darmanin, Joel Klettke and many, many more. Unbounce Co-Founder Oli Gardner crowning the winners of Unbounce’s first ever landing page Showdown, where contestants built and optimized landing pages for — wait for it — moustache wax made out of earwax (yuck!). Expert copywriter Joanna Weibe’s nana rule: If the copy would make your nana buy something that she shouldn’t, then it’s shady and you shouldn’t write it. If it sounds like a blast, it’s because it was. Not only that, it was full of CRO wisdom. To steal Andre Morys’ analogy, if you were looking for CRO gold nuggets, look no further — CRO Day 2016 was a GOLDMINE. And if you missed CRO Day (or you were there, but not sufficiently caffeinated), don’t fret — we recorded it for you. Get the free recordings for all the events! By requesting these recordings, you’ll receive actionable marketing content from Unbounce and its CRO Day partners.